Eduardo Vasquez came to the U.S. from Mexico when he was two. He has been able to stay and attend college through a federal program started under President Barack Obama. While President Donald Trump has extended these protections, questions remain about how long they will be extended. Vasquez still spends each day looking over his shoulder, wondering if, or when, he'll face deportation. "If they deport me and I go back home, I know nothing about my home," Vasquez said. "I don't know the cities, I don't know the stores, I don't know anything -- even the culture. Like right now, I'm just learning my language, I'm just learning my culture, because of having grown up as if I was an American citizen." He's a freshman at Eastern Connecticut State University. Like many students in his situation, the stress of being undocumented takes its toll. "It's very, very, very stressful," he said. "I'm scared every second." College students often face many struggles beyond academics during their first semester. 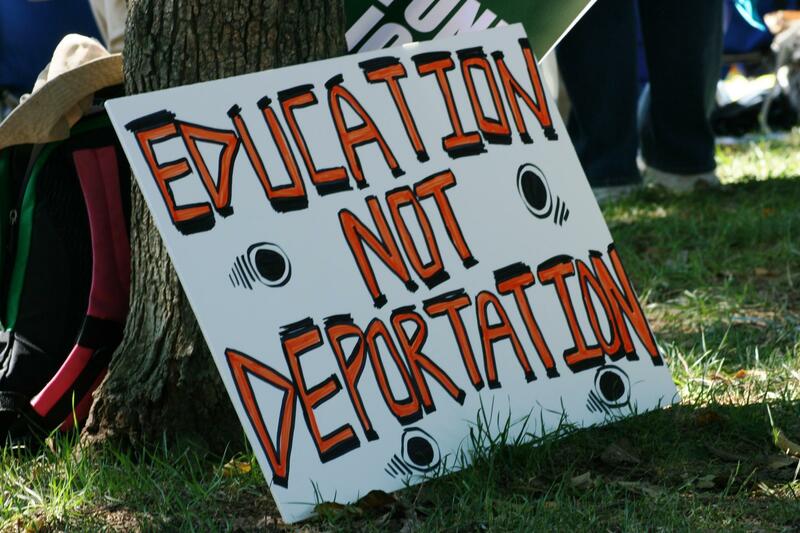 For students who are in the country illegally, the struggle sometimes seems insurmountable. But colleges around the state have been offering a variety of supports to help these students stay in school, and succeed. To keep himself afloat -- and in school -- Vasquez takes advantage of a variety of supports at ECSU. There's a club there for undocumented students, so he has social support. He also regularly sees his school adviser, who he called his best friend. And his professors are quick to offer additional help when he falls behind with his work. But that's not always the case. A common problem is that there's no interaction between professors and support staff, said David Johnston, director of the Center for Higher Education Retention Excellence, a Hartford-based group that works to keep vulnerable students in college. "Some faculty think, 'My job is to teach history or English or math, not to be a babysitter or social worker," Johnston said. "But if they have a student in front of them whose home life is chaotic, or whose personal circumstance is chaotic, that interferes with their ability to succeed in class." He said his organization is working with many schools to build what he calls an extended family for students, to give them space to succeed, and to step in when things get rough. "If they're struggling because of external circumstances -- and this is a big one, in terms of being undocumented -- I think it's our responsibility to help them as much as we can," Johnston said.